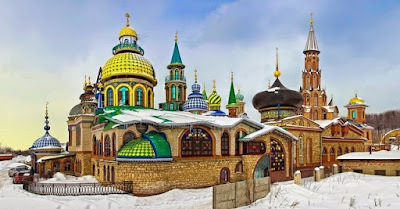 The city of Kazan, in Russia is save an amazing tourist location. If most countries rely on the natural beauty or old buildings as a tourist location. 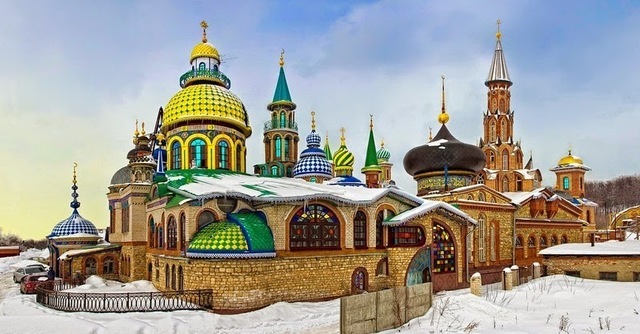 But unlike in the city of Kazan, you will be presented the tour that full with messages of tolerance, one of which is the Temple of All Religions. The building with architectural styles that combine European style and the Middle East is much visited by foreign tourists. 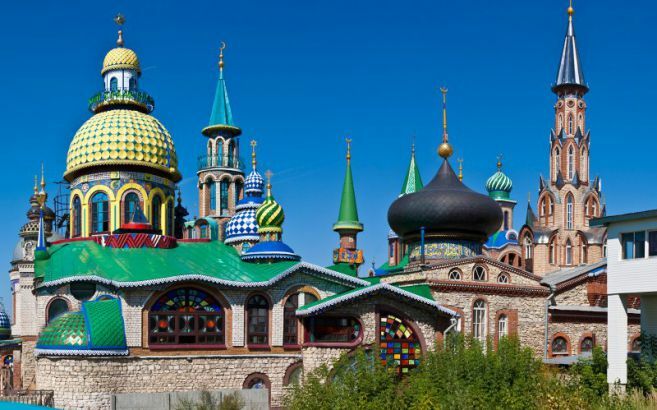 In this place there are 12 domes with different functions. Each dome represents one religion. In this place you can witness to the Christian symbol of the cross, the crescent of Islam and so forth. 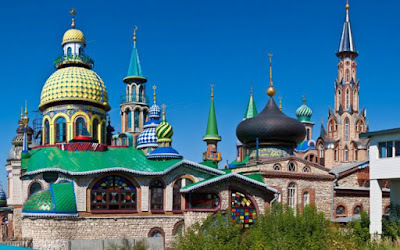 As reported by the Brilio.net on Sunday, January 10, 2016, that this unique building was founded in 1992 and is the property of Ildar Khanov, a Russian millionaire. He deliberately built the building as his peace message to the world. He wants to make all religions are under one roof, and he believes that all religions are equal. 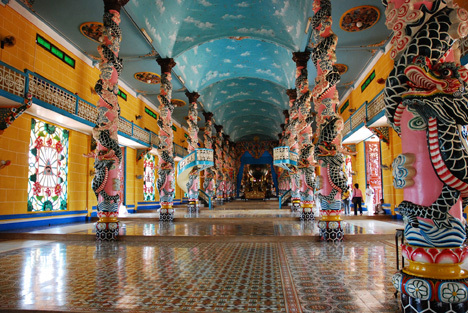 Although it does not function as an active place of worship, but still many visitors who took time to pray while visiting The Temple of All Religions. Each corner also contains information about the religion in question, so that it becomes a medium of learning for every visitor.